If you are new to blogging then you are probably just a bit overwhelmed with all the things that need to be done. To help, I created my own blogging schedule template that I hope you find just as helpful as I have. From setting up a website to monetization, there are just so many things that need our attention and because of that, it isn’t surprising most bloggers quit in their first year. Before we dive into the blogging template, I wanted to give a top 10 list of important areas to work on so you know just where to put your blogging focus. This will ensure that you are getting the biggest return on your time investment. Rate of Investment, ROI, is a buzzword for bloggers and there is a reason for that. With so many things that need to be done day in and day out, finding the most valuable items on your to-do list will help you to stay on task and eliminate the risk of chasing squirrels. To make things even easier, cuz I am cool like that, I have a Blogger’s only Calendar that you can snag using the link below. This calendar is my template and it gives you daily tasks that you can do in just a short bit of time. Each task is important no matter where you are in your blogging journey and, get this, you will get a new one every single month when you sign up! 10 Things To Focus On First When You Are A New Blogger. Your blogging schedule template. Focus #1. Set up a blog and make it live. For some reason, the last part of step one is enough to terrify any new blogger and freeze them in their tracks. Live mean public and public means scrutiny. Hey, I get it and for a while, I was right there myself. But then I realized that when I hit publish, very few IF ANY people would see my site, at least not until I told them about it. And before I could tell anyone anything, I needed that blog live….so stop sitting on your awesomeness and hit PUBLISH. Before you can do any of these other steps, you must do this one first. Get your blog set up, write at least one post in each category, then publish that baby and don’t look back! This step is important and one you shouldn’t put off. Google analytics is where you get all of your stats from your blog. These stats will help you to know more about your target audience so you can write more focused articles. and as you grow and apply to companies for opportunities you will need stats to get approved. I found this super straightforward video tutorial that will walk you through exactly how to set things up. Focus #3. Set up a blogging schedule for each day of the week. This step is overlooked by so many bloggers and I am really not sure why. Without a plan in place, there is just no way you will get anything done productively for any length of time. Working from home can be a bit tricky logistically speaking, so you need a schedule in place and you need to treat that as a binding agreement between you and your blog. Don’t over think this part. Just grab a calendar, a pad of paper, and a pen and start planning. Stuck? Ask yourself these questions. What day will I write blog posts on? What day will I write my newsletter? What day will I work on social media? What day will I work on product creation? What day will I work on lead magnets? Focus #4. Find support and help. Another step that is overlooked by so many. Lucky for me I was given this advice early in and I truly believe it is the reason I was able to turn my blog into a business. When you work from home, things can be lonely and quiet. You need to have friends, blogging friends, that you can talk to. Friends, you can bounce ideas off of, get advice, talk strategy, money, and planning. Without that, you are doing this alone and few bloggers, if any, can do this successfully alone. To find a group, I suggest you reach out in any blogging Facebook groups you are a part of now. Are there members you are drawn too? That you read THEIR comments before anyone else’s? If so, reach out to them and see if they are interested in started a small mastermind. One that is not for accountability (those are incredibly time-consuming and in my opinion more work than they are worth) but for friendship. Make sure your goals are aligned and your temperaments match. Age is not an issue! My closest friends are younger than my kids, so don’t get stuck on a number. If your personalities, work ethic, and blogging goals all fit. Then YOU fit. Focus #5. Speaking of Facebook groups, find one to serve as your home base. Let’s face it, there are a ton of groups out there and before you know it, you might be a member of so many you have no idea which ones are a good fit for you. A few things to remember when joining a group. Are you looking for an education? Are you looking for social shares? Are you looking for encouragement? Are you looking for tech help? Make a list of all the areas you feel you need help with and find a group for each that will fit. Keep track of your top groups and set up notifications for each so you do not miss a thing. These Facebook groups are you go-to for help and it is important to be active in them so you are in the loop for new software and social media changes. Once your blog is live you will want to set up social media for each avenue you plan on using. Don’t just do it to do it. Pick and choose the channels you plan to utilize and get your name claimed that matches your blog or at least one that is close. If you are not sure that a social media channel is one you are going to use, claim your name for now so you at least have it to use later on. Once all of your channels are in place, go back to step #2 and insert time to work on each channel several times a week. As you grow the time on social media might decrease, but for now, you will be spending more time getting your name out there so be sure to block off enough. Focus #7. Email is king! And I am here to tell you that from day one you need to add this to your to-do list. Writing is a bit part of blogging, it’s true, but if you do not have an audience…an engaged audience in place then you will not have anyone solid to write to. Sure, you will have readers, but they will be random readers that might stumble onto your blog from Pinterest or Facebook. 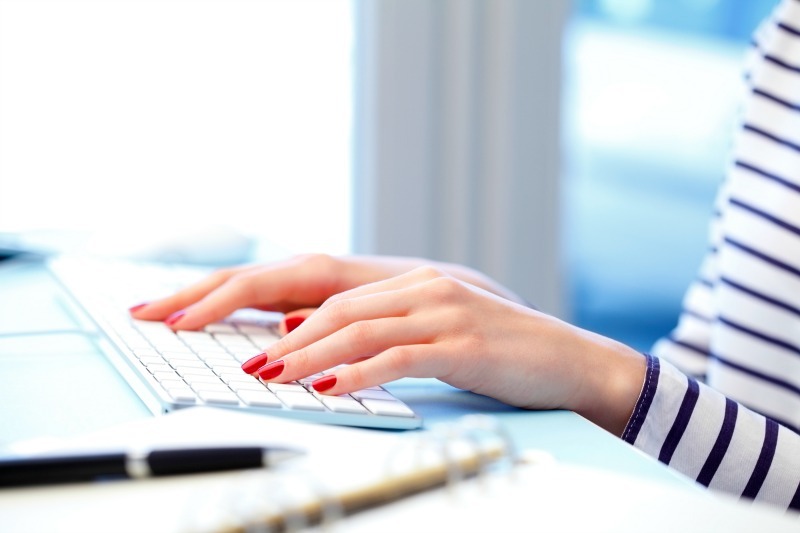 Email is your chance to grab that random reader and turn them into a fan. Someone that wants to read what you have to say and buy what you have to sell. To do this you need to have an email service provider in place and a killer lead magnet to encourage your readers to join your community. I have ConvertKit and I credit them to my solid email growth over the last 18 months. Get a free trial to see if they are the right fit for you. Next on the list is making money. That is, after all, why most of us are here. Gone are the hobby blogs and we are now in full blown work from home businesses. For that reason, it is important to set up a few things right off the bat. When you are new you will need to apply to Google Adsense, which you can do so right HERE. After you gain some traction you will have more options open up to you. Mediavine and AdThrive are two of the bigger networks that I encourage you to look into as your page views grow. Another form of blog revenue stream that needs your attention early in, is affiliate marketing. Affiliate marketing simply means products that you seel from other companies or even other bloggers that you receive a commission for when someone buys through your unique link. That link is used as a tracking system that contains a user-specific cookie. This cookie is linked to a reader when they click on your link allowing you to receive a commission for a set length of time. These cookies can last from 24 hours to a lifetime. It is important you know exactly what the time of the cookie is since this will adjust your marketing plan drastically. A certain time period – This cookie can last anywhere from 24-90 days or more and is the most popular with retail sites. First clicked – You receive credit as long as another link is not clicked before the reader clicks on your link. Last clicked – You receive credit as long as another link is not clicked after the reader makes a purchase. Lifetime – Once a reader clicks, they have your cookie for life. This is another area I truly wish I had focused on since day one. If you want to make money on your blog, then you need to have your own products up and selling on your site. Sure, you can make money with ad revenue and affiliates. But if you want to make money, a GOOD solid revenue stream that you can control, then having your own products is essential. Once you have products of your own, you can run sales whenever you like, have tripwires in place for a wonderful passive income flow and even offer affiliate programs to other bloggers to boost not only your income but theirs as well. Start out small to test your audience. If they respond well, meaning they buy at a pretty good rate, then you found your honey hole and you need to create more content and products around it. 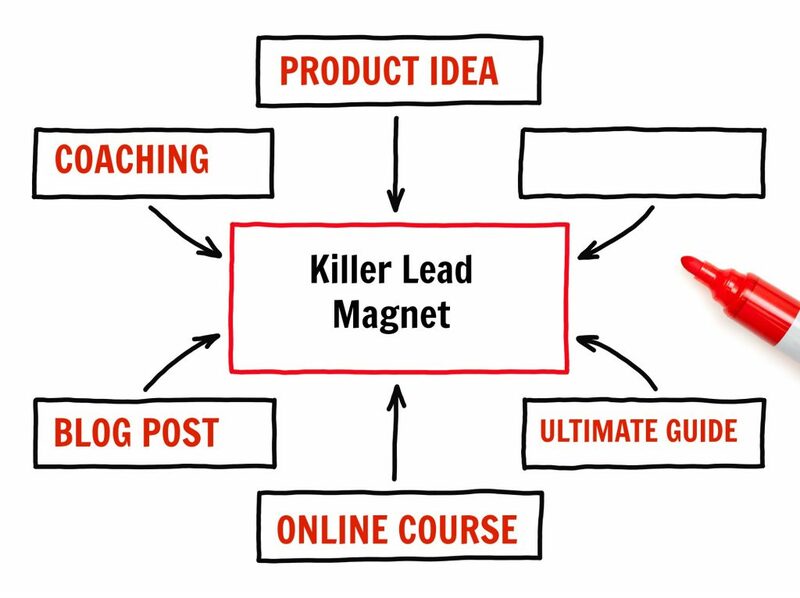 another way to come up with product ideas is to look at your lead magnets. If you have one that is doing amazingly well, then why not create a product around it? Products do not need to be expensive to generate a healthy income. I cannot tell you how many times a simple $7 product has brought me in hundreds of dollars in just a day or two. If your readers want it, you will make money with it. Listen, blogging is a tough gig and knowing just where your attention needs to be is the difference between success and burn out. Start with this list and I know you will have a good foundation to build a long and healthy blogging career from. 10 things to do as a new blogger is meant to guide you in the right direction so you can pick up momentum and run. Thanks for this, Tracy. My go-to Facebook group is yours because you and everyone in the group are so helpful and encouraging. I definitely second the “shiny things” problem. I’ve always had that problem anyway, and blogging has only magnified it! However, I am getting better at focusing on what needs doing, and for this year, that’s going to be growing my email list, getting a better understanding of SEO, getting a consulting service up on my blog, and creating at least one product. I figure those goals will take a year to complete, but that’s ok, this is a marathon, not a sprint. Have a very Merry Christmas, and thank you for all you do to help us bloggers! I am so glad you enjoy the Facebook group, I love having you there! Yes, goals are super important for bloggers and yours are perfect! Yes, a marathon…I love that!! Thank you so much – I really needed this and trust you to give us the most important stuff!! I am so glad you found it helpful, Lisa!! Wonderful info! Thank you, Tracy! You are very welcome, Joan!! !